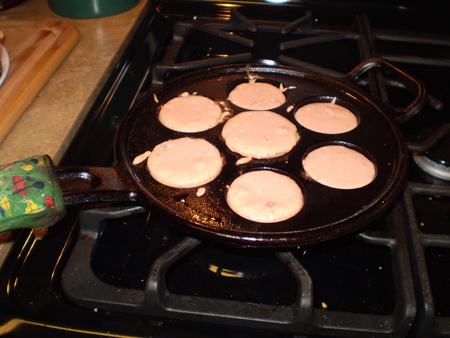 You are here: Home / Recipes / Breakfasts / Ableskivers! Woo Hoo! 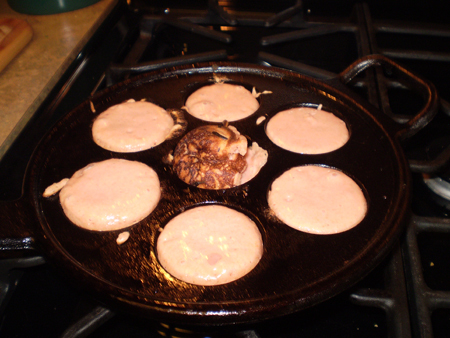 Unfortunately, the pan offered on television is not the best quality and it’s covered in non-stick coating (which I don’t consider safe or healthy). 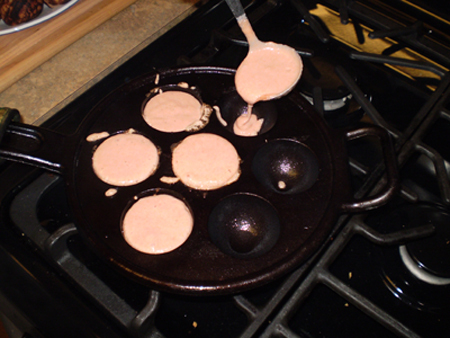 Fortunately, what this company did, was market an OLD, wonderful traditional Danish delicacy called AEBLESKIVERS. 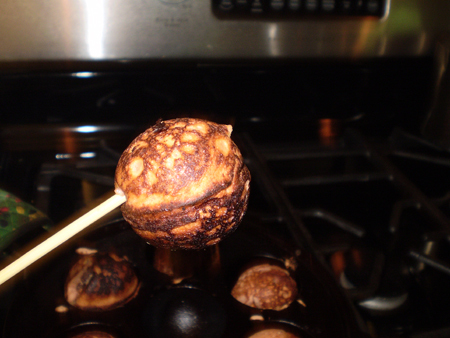 These are light, fluffy pancake balls made in an aebleskiver pan. 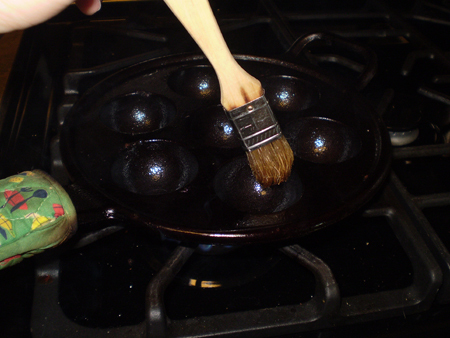 The best aebleskiver pans are heavy duty cast iron, without any non-stick coating. So, don’t give in to the marketing! 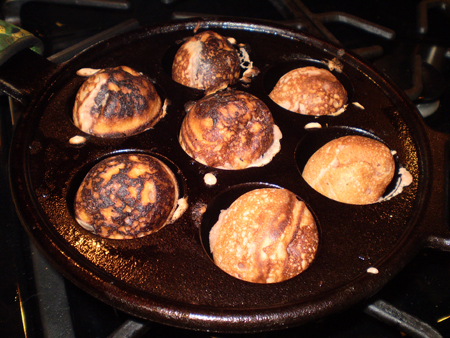 Get thyself a GOOD QUALITY, well-made aebleskiver pan and start making these addictive, delectable little morsels! 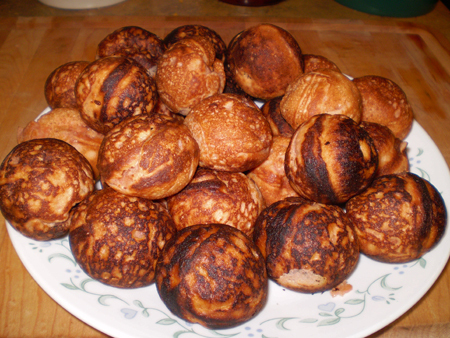 Here are some pictures from today’s aebleskiver session.